Since we're on a countdown to Christmas I am throwing into the mix some of my favourite songs and books of the year. The first song is Let It Go by James Bay who is from Hitchin in the UK. Hitchin is a place I travel through quite often so it's rather a nice surprise to discover that such fine musical talent is emerging from somewhere which I have only ever thought of as a thoroughfare. 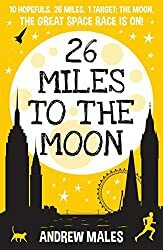 My first book choice is a contemporary comedy set in the UK and New York about a underachieving British thirty-something man who gets drawn into a bizarre competition, requiring him to run the NY marathon, in order to win a place on a trip to the moon. There are some real laugh-out-loud moments in 26 Miles to the Moon, particularly in the early chapters. I think it would especially appeal to male readers looking for something a little different and to those who are interested in competitive sports. It's not often I come across a contemporary comedy striving to be a little different so kudos to the author, Andrew Males, for daring to be different. Bored of your life? Find some inspiration in 26 Miles to the Moon. I could write a book about the middle age man who did an inflatable assault course in an attempt to win a place on a space flight! I think I know who you're talking about! 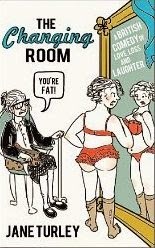 You should get him this book - I think he'd enjoy it.